Lunar Caravans make both Caravans and Motorhomes. The name Lunar was inspired by the 1969 mission to land on the moon. Their flagship is the Clubman and Delta ranges. Lunar offer different level of specification and luxury throughout their range starting off with the Lunar at the bottom end going through to the Alaria as it’s top end range. The quality should be the same throughout the model ranges but the features will differ, as will the price. For example the lower end of the range will have a fire with hot air blower, whereas the more expensive ranges will come with Alde central heating, for example. It’s all governed by how much you want to spend of course. The article isn’t a review of Lunar caravans, but instead gives you an outline of the model ranges. So, let’s start at the lower end of the market, the end which most people will buy from. All caravans are well equipped. 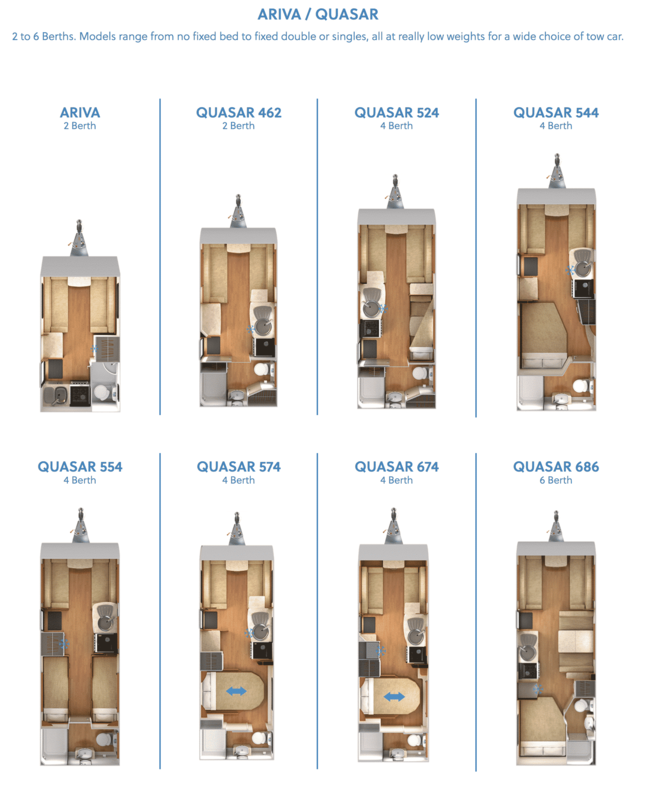 Ariva is a 2 berth then they have 7 models in the Quasar range, from 2 to 6 berth, something for everyone. The caravans are well known for their low weights, giving a greater choice of tow car. The Ariva / Quasar range could be seen as their entry level caravans. Of course, all manufactures come up with a different name other than entry level. You could call them cheap, excellent value, bottom of the range or entry level. 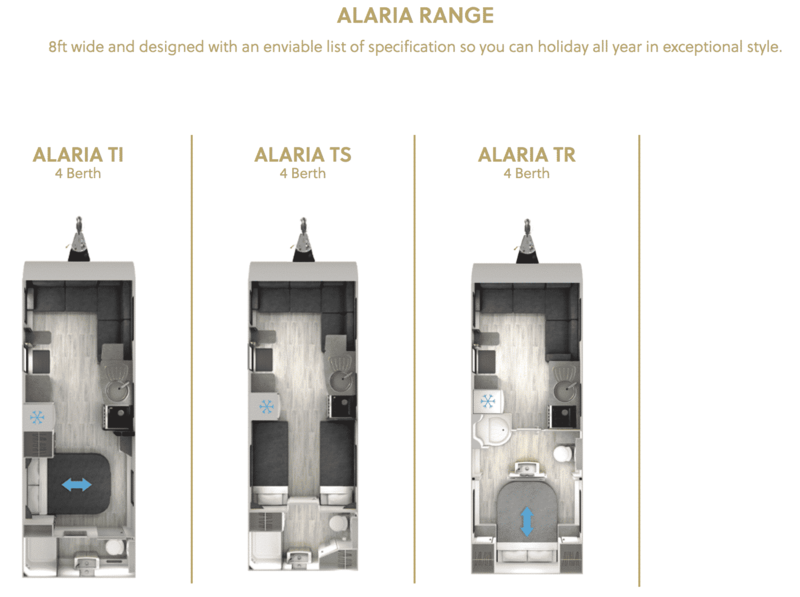 The range follows the previous selection, the Stella is an entry level 3 berth lightweight caravan. There are 4 caravans in the Lexon range that are 4 berth. 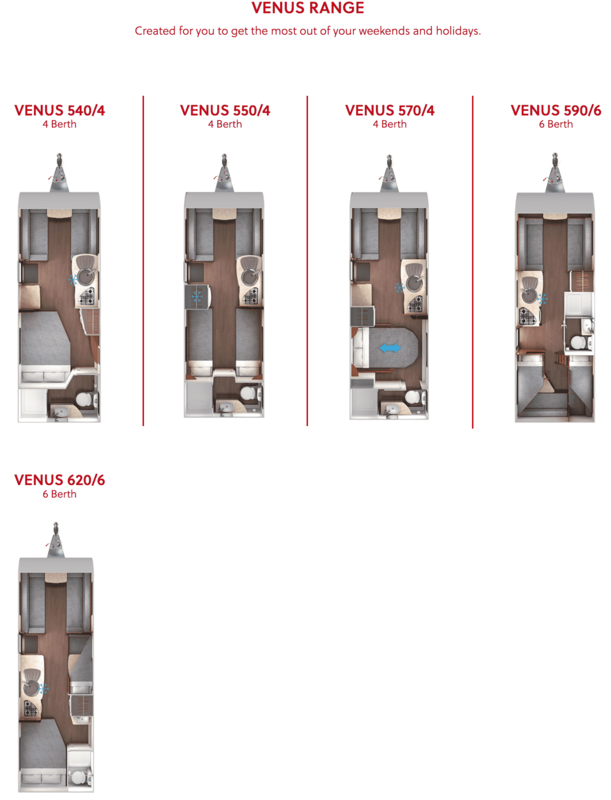 Layouts include, fixed bed, in traverse and island configurations, as well as twin single beds. The island bed has a middle washroom, both traverse beds have end washroom. They also have a twin axle in the range. 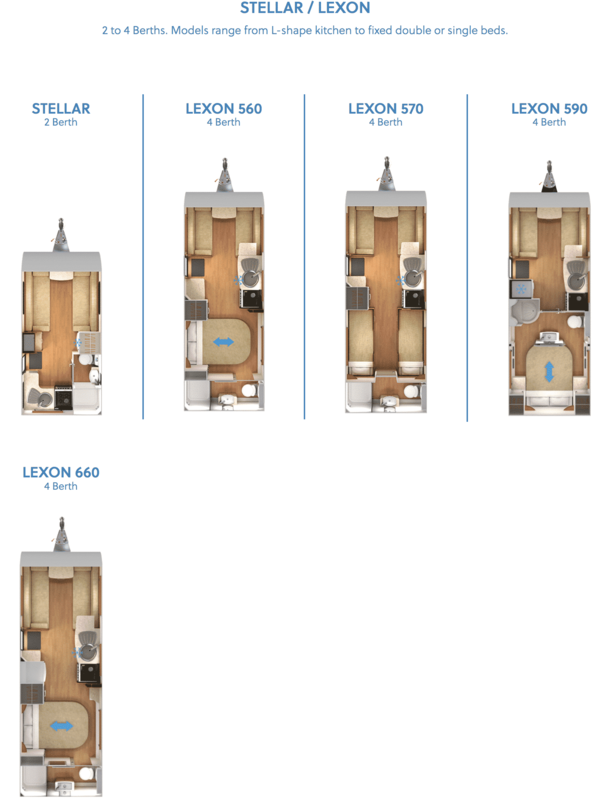 Have a look at the Lunar Stella and Lexon caravans below (image from Lunar’s website). This range is the flagship and therefore most expensive, better equipped and heavier of the ranges. There are 6 caravans in the Clubman range. Ranging from 2 to 4 berth. All caravan have a higher standard of interior and better equipment. The Delta models are all twin axle variants. The top end Clubmans and Deltas have luxuries such as DAB radio, Alde heating, Thatcham cat 6 tracker and Lunar assist control panel. The nomenclature here is T for twin axle in the Delta and Alaria ranges. These are Lunar’s aspirational range of caravans. The TS is Twin single beds, the TI is a side island bed and the TR is a rear island bed. 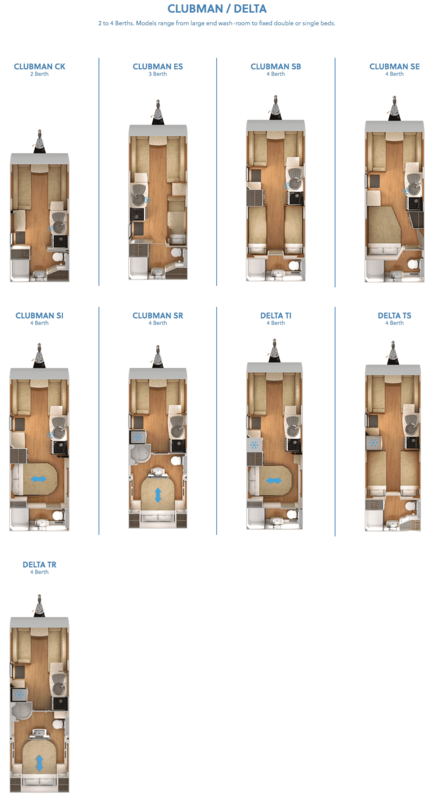 Have a look at the Lunar Clubman and Delta caravans below (image from Lunar’s website). 8ft wide, twin axle flagship caravans. There are currently 3 models which bare the Alaria name. With more equipment and high end specification than you can shake a stick at. The Venus range are great family caravans.